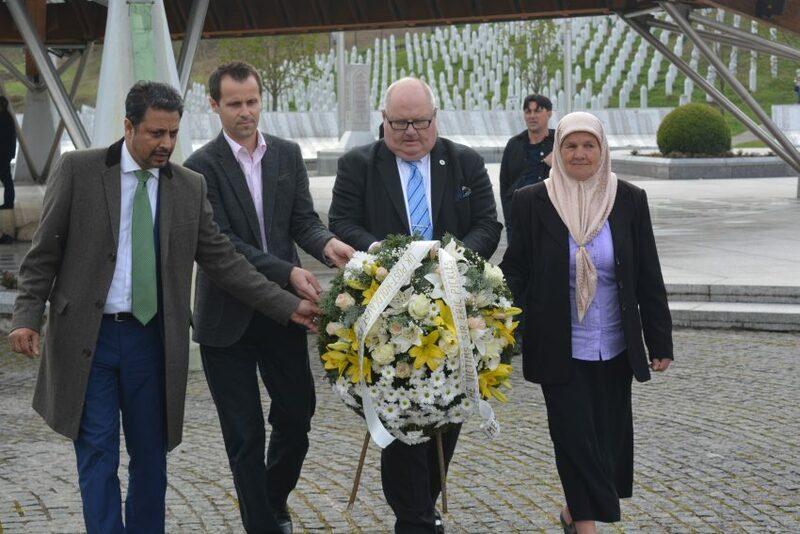 The UK Government’s Special Envoy for Post-Holocaust Issues lays a wreath for the victims of the Srebrenica genocide. Remembering Srebrenica has welcomed the visit of the Government’s Special Envoy for Post-Holocaust Issues, The Rt Hon Sir Eric Pickles, to Srebrenica, the site of the worst atrocity on European soil since World War Two. Sir Eric met with survivors and the bereaved in Srebrenica, Bosnia-Herzegovina, where over 8,000 Muslim men and boys were killed. 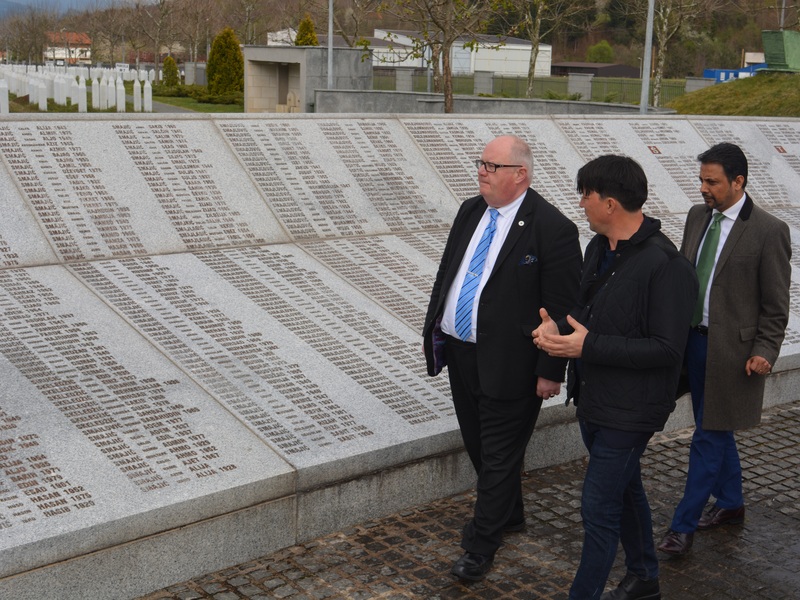 He visited Srebrenica with the Chairman of the charity Remembering Srebrenica, which works to commemorate the Srebrenica genocide and to tackle hatred and prejudice in communities across the UK by learning from the past. Remembering Srebrenica is also the sole organiser of the UK’s commemorations of the genocide. “I was reasonably familiar with the story and with the facts, but until you come here, until you talk to the survivors in the very place where it happened, the full dreadfulness of it doesn’t really hit you. “To walk round this graveyard and monument it does strike me that this is what happens when young men’s heads are filled with hatred. “The Memorial Centre records without bitterness and it makes Europe look itself in the eye to see the flip side of European civilisation; that we are capable of the most vile crimes known to humanity. “The lessons we can learn from Srebrenica of standing up to hatred, challenging prejudice and emphasising what we have in common rather than what divides us have never been more important. We need to be wary of increases in hate crime and the language of division in the UK. Srebrenica teaches us where this could lead if left unchallenged. 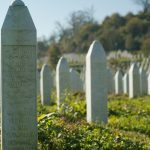 The Department for Communities and Local Government part-funds Remembering Srebrenica’s work in learning lessons from the genocide to create stronger, more cohesive communities in the UK. July 11 marks the 22nd anniversary of the genocide of Bosnian Muslim men and boys in Srebrenica, – murdered because of their Islamic faith. The genocide in July 1995 was the culmination of a brutal campaign of ethnic cleansing, in which men were tortured and killed while between 20,000-50,000 women were raped. This year, the charity is focusing their commemorations on breaking the silence on women’s experiences of the genocide. As well as supporting a network of 1,000 Community Champions to hold hundreds of events commemorating the genocide in July, the charitable initiative runs the ‘Lessons from Srebrenica’ educational visit programme taking people to Bosnia to learn about the genocide and the effect that it has had on the lives of people there. This year the participants include MPs, faith leaders, teachers, barristers, journalists and students all of whom pledge to organise projects in their communities to strengthen community cohesion and create a better society on their return.